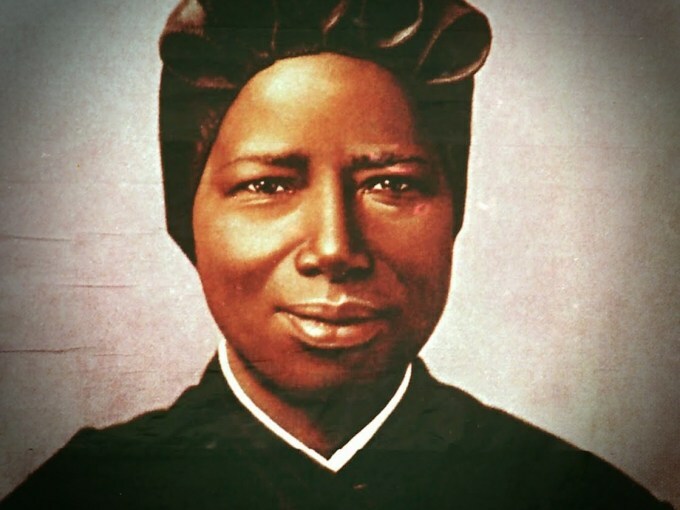 On Friday February 8 the Catholic Church commemorates the life of St Josephine Bakhita, a Canossian Sister who was kidnapped and sold into slavery in Sudan when young. The trauma of Bakhita’s abduction caused her to forget her own name. The name by which she has become known is a mixture of the name given by her slave traders, Bakhita, Arabic for “lucky”, and the Christian name, Josephine, which she took in adulthood. St Josephine was beatified in 1992 and canonised by Pope John Paul II in October 2000. She is the first person from Sudan to be canonised and is the patron saint of her country and of victims of human slavery and trafficking. The Global Slavery Index estimates there are 45m slaves today in the world and government estimates suggest that there may be up to 15,000 men, women and children in the UK who are victims of human trafficking and slavery. The Medaille Trust is a charity founded by priests, sisters and brothers from many orders and congregations to help men, women and their children who have been rescued from the evil of human trafficking. Working together with victims we rebuild lives and offer brighter futures. The charity does this by providing safe housing for both male and female victims of human trafficking and their dependents in nine houses throughout England. As the Medaille Trust’s representative in our diocese, I am available to deliver talks and presentations in schools, parishes and other groups about the work of the trust in combatting human trafficking and slavery in the UK and globally. Please call me on 01642 313460 or email t.dean@medaille-trust.org.uk for more information.